A few kilometers north isshimoni – so named because it has got an impressive collection of subterranean caves where in the bad old days of slaving, the captives were chained before being shipped off to far away lands. Today, shimoni is a bustling village where the local community has turned the caves into a tourist site and take you on a guided tour. 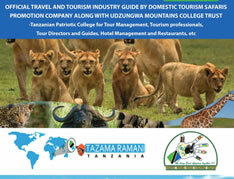 Copyright © Domestic Tourism Safaris. All rights reserved.